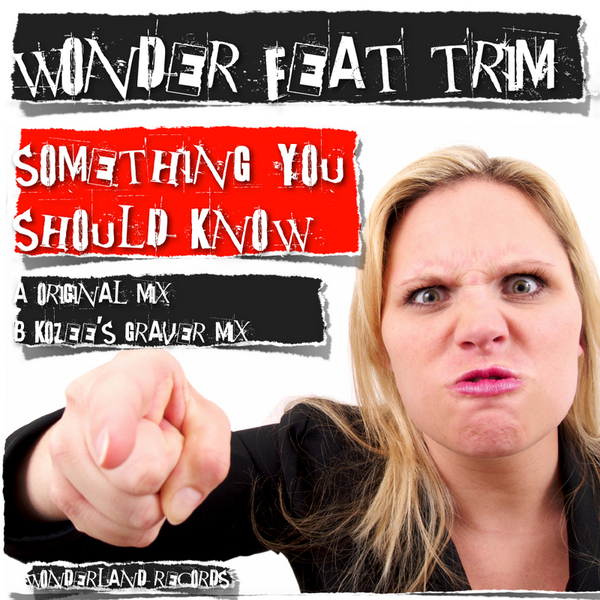 Wonder reprises his role as Grime producer with a deadly riddim for Trim on 'Something You Know', backed with a weighty, rolling House remix from Kozee. Better watch yer bassbins when sampling the original - the bass is set to eye-quivering levels and those drums are trained to bite. Kozee's Graver remix doesn't hold back on the bass either, only this time the drums are more sprightly, dancing, allowing more room for Trim's strangely Guru-like delivery. Get on this, it's wicked!